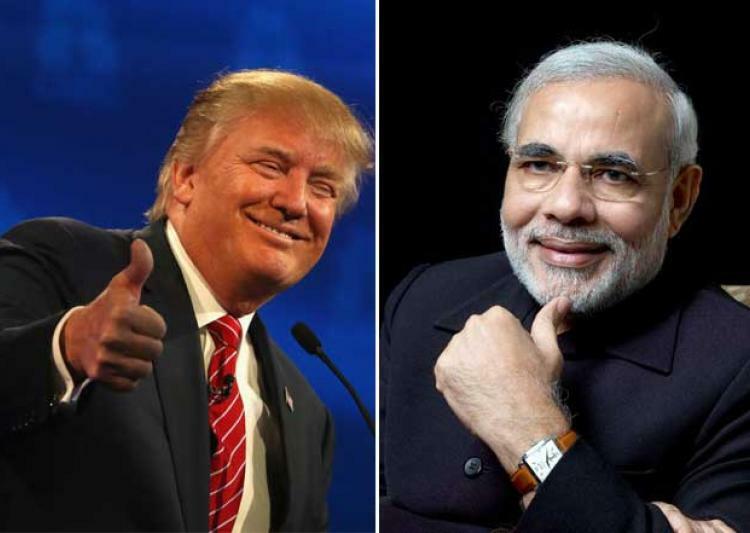 The election of Donald Trump as President of America brought new uncertainties in India-US relations. 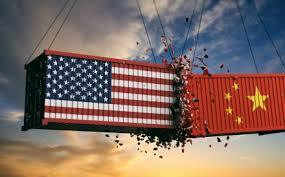 His “America First” approach and call for strong trade action to protect American jobs from being shipped overseas promised fresh trade frictions and the lack of clarity on the US’s role in the Asia-Pacific raised questions whether the Strategic Partnership would be diluted in favour of a more transactional approach. 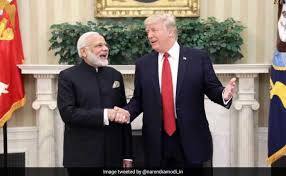 Today, eight months down the road and following Prime Minister Modi’s visit to the US in June, 2017, the India-US Partnership is on course, centred on shared interests in countering terrorism, managing a more assertive China and shaping a balance conducive to peace and stability in the broader Asia-Pacific region. 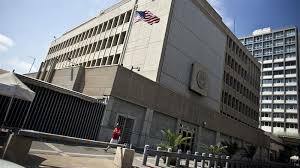 The comment by Israel’s deputy foreign minister came after Guatemalan President Jimmy Morales announced the relocation of his country’s embassy to Jerusalem. 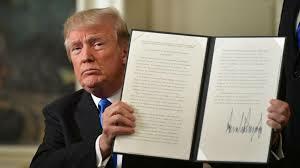 Earlier, the UN General Assembly adopted a resolution rejecting the US decision on the status of Jerusalem.The Israeli Foreign Ministry is in touch with “at least 10 countries” from different parts of the world that are mulling over moving their embassies to Jerusalem, following US President Donald Trump’s decision to recognize the city as the Israeli capital, Deputy Foreign Minister Tzipi Hotovely said. “We are in contact with at least ten countries, some of them in Europe” to discuss the possible move, Hotovely told Reshet Bet radio on Monday, refusing, however, to name those countries.Hotovely also suggested that Trump’s decision on the status of Jerusalem would “trigger a wave” of similar moves. “So far we have only seen the beginning,” she said. For a gentile, kafir, infidel and pagan, Jerusalem might be another piece of territory as good or as bad as Alaska. This is, however, not true for the followers of the three Abrahamic faiths, and with valid reasons. Their genealogical trajectory is sequential and closely intertwined and some of their key historical moments are traced to the City of Jerusalem. Religion is an article of faith and hence one either accepts all beliefs and traditions or rejects them altogether; and modernity presupposes that no faith is inherently superior to or supersedes the other.According to Islamic traditions, between 610 and 623 CE, Jerusalem was the direction of prayer or Qibla until it was changed towards the Ka’aba in Mecca by Prophet Mohammed in February 624. The city is also associated with the Prophet’s ascendance to heaven or the Night-Journey and his Ascension on a winged horse traced to 620 CE. Thus, Jerusalem is the third holiest place in Islam after Mecca and Medina. 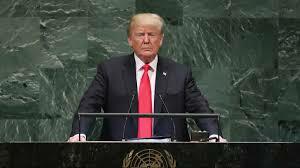 The deepening standoff with North Korea and the Iran nuclear accord are expected to top President Donald Trump’s agenda when he delivers his debut address to the United Nations General Assembly session next week. He will meet jointly with the leaders of South Korea and Japan for lunch on Thursday to discuss the looming North Korean threat. 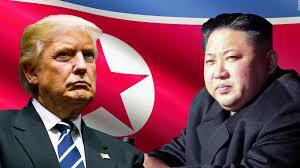 The Trump administration is getting increasingly vocal about the possibility of a military action if North Korea does not put a lid on its nuclear programme. The United Nations Security Council adopted a new round of sanctions on North Korea last Monday, reducing gasoline exports and crude oil supplies, in response to the nation’s sixth and largest nuclear weapons test. But the defiant regime responded with a fresh missile launch over Japan on Friday warning sanctions will only further accelerate its nuclear programme. This is not because of the absence of any outstanding issues between the two countries. There are a number of areas of mutual interest and common concern. 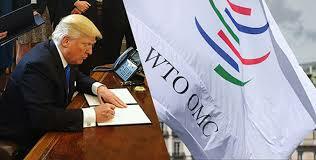 These include advancing defence and strategic cooperation, trade surplus/deficit, international terrorism – issues on which Trump has expressed strong opinions in the past, although not specifically with respect to India-US relations. 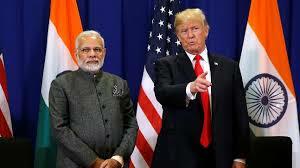 The environment in In contrast to Prime Minister Modi’s previous visit to Washington for meeting President Obama, which was high profile in character with lots of advance publicity and hype, his forthcoming trip to the US to meet President Trump is being projected as business-like with very little hype. Almost all, if not all, of the analysts’ expectations on the outcome of the meeting are low to modest and not without reason either. These talks will be held is also different. Earlier, one of the primary motivations for the US to strengthen strategic cooperation was the long-term prospect of India emerging as a major economic and military power and the need for crafting a viable Asian security architecture given the uncertainties about the evolution of China’s long term goals. In contrast, the Trump administration – largely reflecting the President’s ideology – is more concerned with short term results and gains for the US. Hence the US withdrawal from the Paris Convention, abandonment of the TPP, calls for renegotiation of NAFTA, demands on NATO members to increase spending, etc. 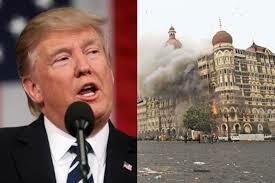 Given this, the long term projections of India emerging as a major power after a couple of decades is not likely to play a major role in Trump’s approach towards India.